Do you love shopping? 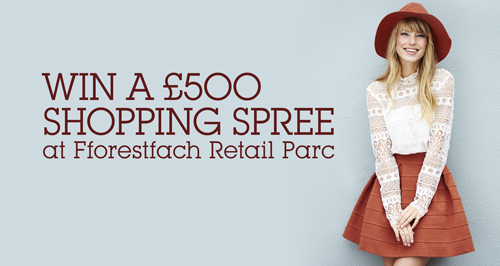 Then make sure you head over to Fforestfach Retail Parc on Saturday 24th September to bag yourself £500 worth of vouchers to spend at the park! All you have to do is visit the Angels from the Heart Radio outside Costa and Boots in the car park on 24th September and they will enter you in to the competition. As well as entering you in to the competition, they will also be offering FREE face painting for the kids and also giving away some fabulous Heart Radio freebies! Remember we also have FREE car parking for up to 4 hours which means you can pop in to the shops whilst the kids get their face painted. There’s all the great brands that you love here at Fforestfach Retail Parc. Imagine what you could do with £500 worth of vouchers? New house furniture from Homesense maybe? Or a brand new winter wardrobe from great fashion brands? It’s a competition not to be missed. Good luck!